Eggs: they’re pretty magical. They’re amazingly portable, wonderfully versatile, and my favorite emergency protein by a mile. Like me, Henry loves eggs, no matter how they’re prepared: scrambled, poached, soft-boiled, over-hard, you name it. (My pun-loving husband might even describe them as eggceptional, but that’s going a yolk too far.) 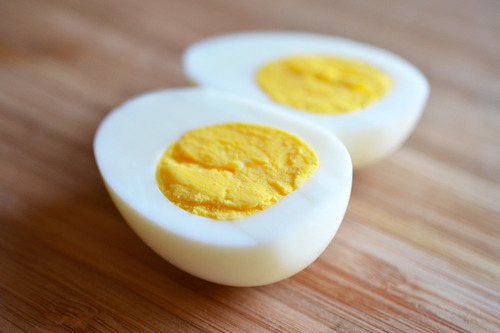 Plus, eggs are quite possibly the most nutrient-dense super-food around. Yes, we’ve all heard about eggs and cholesterol. But as Liz Wolfe writes in Eat the Yolks, “[t]he notion that cholesterol causes heart disease has been abandoned by many physicians and scientists. Why? Because after decades of studies and spin, there’s still no hard evidence to prove the hypothesis.” In fact, lowering dietary or blood cholesterol hasn’t been shown to prevent cardiovascular disease at all. I have friends who eat egg-white omelettes. Every time I’m forced to watch them eat egg-white omelettes, I feel bad for them. 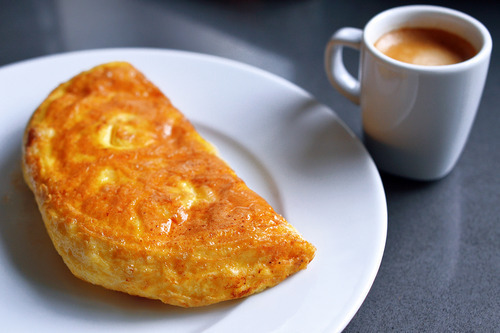 In the first place, egg-white omelettes are tasteless. In the second place, the people who eat them think they are doing something virtuous when they are instead merely misinformed. Sometimes I try to explain that what they’re doing makes no sense, but they pay no attention to me because they have all been told to avoid dietary cholesterol by their doctors. According to yesterday’s New York Times, the doctors are not deliberately misinforming their patients; instead, they’re participants in something known as an informational cascade, which turns out to be a fabulous expression for something that everyone thinks must be true because so many reputable people say it is. In this case, of course, it’s not an informational cascade but a misinformational cascade, and as a result, way too many people I know have been brainwashed into thinking that whole-egg omelettes are bad for you. 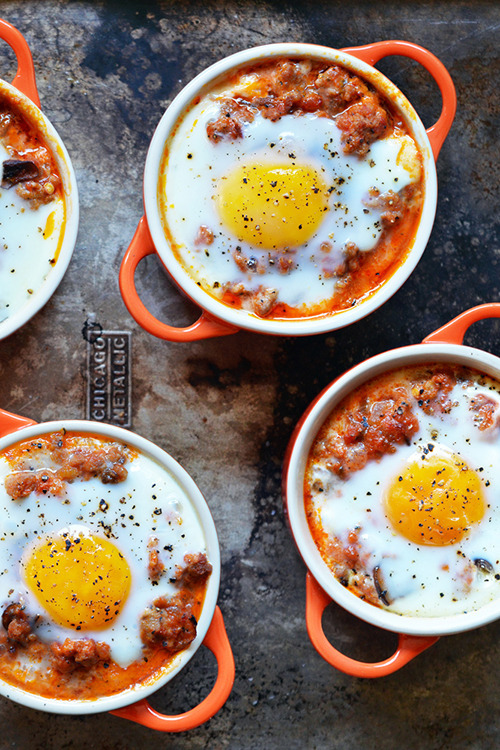 Yolks aren’t just chock full of awesomeness—they’re the tastiest part of the egg, too. 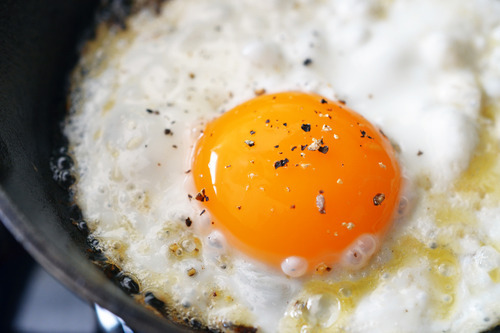 Learn how to make the perfect fried egg! Watch Gordon Ramsay make the perfect scrambled eggs (and feel free to jump ahead to 1:01 if you want to skip the part where he toasts bread)! 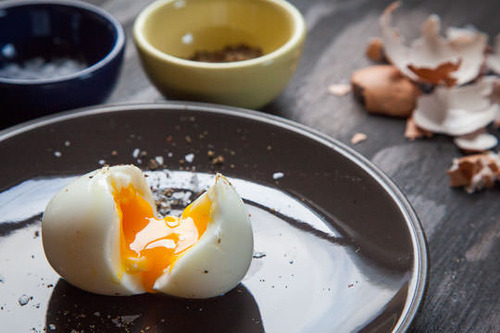 Behold: Eat the Love’s perfect soft-cooked egg! 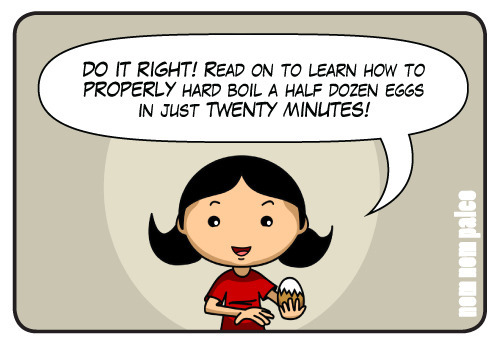 Learn my secrets to preparing perfectly hard-boiled eggs! 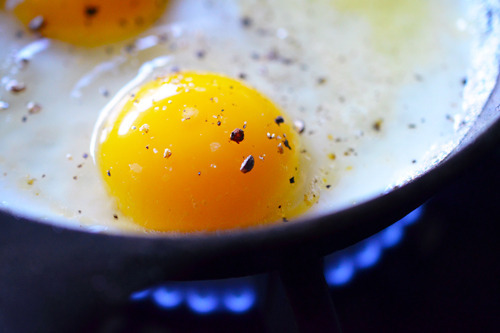 And here’s Alton Brown’s tutorial on hard-cooking eggs without boiling them! 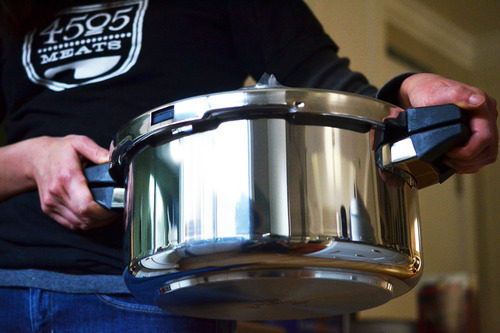 You can also learn to cook eggs in the pressure cooker, thanks to my pal Laura of Hip Pressure Cooking! 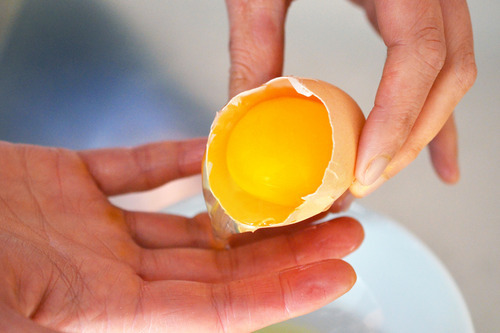 Use a spoon to peel your hard-cooked eggs! Scramble eggs inside their shells! Allergic to eggs? 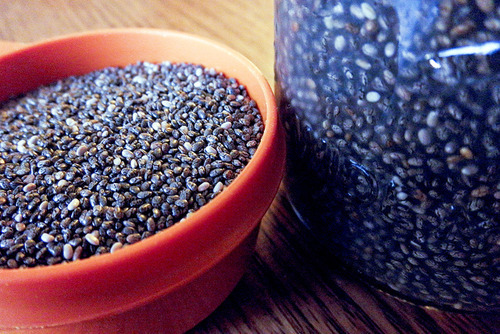 Make an egg substitute with chia seeds! 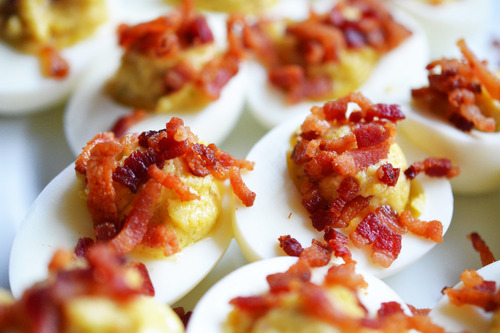 I have a bunch of eggtastic recipes in my new cookbook, too, including Lazy Devils, Khai Jiao, and Uova in Purgatorio! 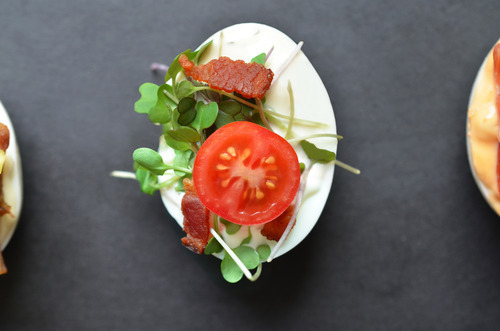 And finally, if you’re in the mood to immerse yourself in eggy goodness, get your hands on a copy of Michael Ruhlman’s newest cookbook, Egg: A Culinary Exploration of the World’s Most Versatile Ingredient. It won’t hit shelves until next week, but trust me: it’s going to be genius. Thanks for reading! That’s all, yolks! Looking for more recipes? 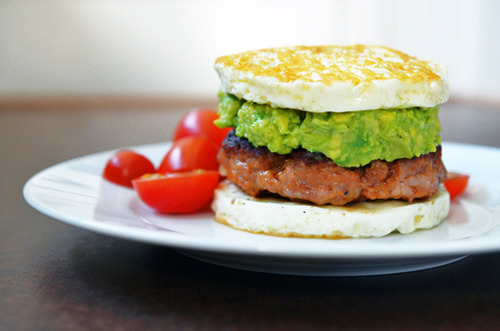 Head on over to the Recipe Index. 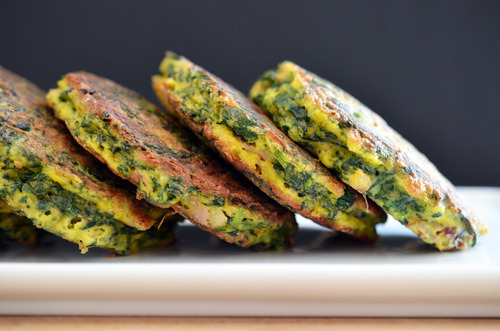 You’ll also find exclusive recipes on my iPad® app, and in my New York Times bestselling cookbook, Nom Nom Paleo: Food for Humans (Andrews McMeel 2013).